I’ve talked about colours and breeds of dragon before. But there is another way of classifying dragons – elements. Depending on what kind of dragons you are dealing with, a dragon might embody an element. And whilst the classic four are very much around (earth, fire, water and air) you can also find such dragons as ice, lava, lightning, metal, smoke and other such unusual elements. If you are dealing with elemental dragons, then it pays to find out which element you are dealing with, and the element will give you clues as the the nature, habits and deadliness of the dragon that you are interacting with. Generally a dragon will have only a single element, but this can either be a ‘pure’ element such as fire, or a cross element such a smoke (fire x air) or lava (fire x earth). Whilst a number of dragons can fly, the air elemental dragon are masters of the skies, with unparalleled grace and speed when they take flight. Often dragons of this element have a certain amount of control over the breezes and winds of a location, which they can either use to aid their own flight, or just to play around. The element of air is associated with mental quickness, joy and intelligence, but can also be fickle, moving on from one thing to another in a flash, and air dragons love to gossip. Given the openness of the skies and the attitude of air dragons, the emotion or ideal they embody most is freedom. Physical these dragon will often be light in colour, pale blue or cream is common, although some are bright yellow. All of them have wings, some of which are so thin as to be practically see through, although they can always stand up to the fiercest of winds that they might call upon. Rarely, a dragon may even have the double wing arrangement as seen on butterflies, although these dragon tend to be much smaller than their other brethren. Air dragons aren’t very aggressive, and much prefer to fly away rather than fight. However, if you do provoke one, then you will need to watch for their speed, as well as the possibility of lightning breath. Storm dragons have a very powerful lightning breath attack that they can use, and direct much more accurately than natural lightning strikes. Air and Wind dragons often use their wings and breath to create gusts around the field of battle, making it hard for their opponent to stay in one place. One interesting thing about air dragons is that they seem to share a trait with magpies – a love of shiny things. Whilst all dragons are known for hoarding, air dragons seem to do it less for the gold itself, and more for the lustre of the object. An air dragon’s hoard may well be small, but if the light catches it, it will be dazzling. Fire dragons are exactly as you expect them to be – passionate, courageous, enthusiastic, quick tempered and prideful. If you should ever interact with one, then try not to challenge it, as these dragon love proving themselves against anyone, especially in combat, and tend to anger if they don’t win. If you’re lucky, you’ll get an honourable one who won’t eat you, but those tend to be rare. Physically these dragons have thick, heavy bodies, with lots of insulation to regulate the enormous amounts of heat that they produce. Common colours are reds of any shade, and sometimes they are touched with oranges and yellows. Their necks are longer than most other types of dragon, and it is theorised that this somehow helps them with their breath weapon. A fire dragons ideal habitat is in a volcano, especially lava dragons, who eat lava as a regular occurrence. Dragonologists aren’t sure if this gives them any nutrition, but they certainly seem to love it. If they can’t get a volcano to themselves (since they are very territorial), then a lair has to be warm, ideally dry, with a large hunting range. Deserts are thus also common places to find them. Steam dragons are a rare exception. Although they love warmth, they also like water, so if you find a deserted hot spring, you might want to make sure that it isn’t actually a steam dragon’s lair. Just like volcanoes, these dragons have the ability to go into hibernation, and lie dormant for decades, sometimes even a century or more at a time. Strangely, fire dragons can also be significant helpers in purification rituals. Fire is seen as one of the ultimate cleansers, as it can burn away everything, just leaving you with ashes to grow from, much like a phoenix. Long and sinuous, dragons of this element like to live in or nearby any body of water, whether that be an ocean, sea, lake, river or stream. Typical colours are a range of blues, greens and silvers, with the occasional splash of purple, especially for the deep dwellers. They rarely have wings, and short legs as they spend most of their time in the water swimming and have evolved to be streamlined for that purpose. Quite often they will possess tendrils, or ‘whiskers’ on their face which is thought to help them with navigation in the water. Fins along the spine and webbed feet are very common, and aid with swimming. They also have inner and outer eyelids, the first being completely clear and used whilst underwater as protection. All types of this dragon can be referred to as Water Dragons, but people tend to classify them depending on what type of body of water the dragon lives in. The dragon tends to adapt to the environment it choose to live in; for instance, a river dragon will not grow larger than half the width of the river to allow itself to continue to move around. A stream dragon can be positively tiny depending on the stream, whereas water dragons that choose to dwell in the deep ocean can become larger than ships. There are more commonly seen in the northern parts of the world, as it seems that they prefer colder parts of the world. Water dragon are associated with emotions, especially calmness, change and movement. Due to this they are said to be able to both still over-active emotions, or to start them moving again, especially to break free of something holding a person back. If you should interact with a water dragon, and out of all the dragon types water dragons are most likely to interact with human, you should remember that it will always be calm on the surface, and you might not know what is going underneath, just like rip-tides in an ocean. If you do manage to offend one, then they have two main methods of attack. The first, is that they have a separate stomach that stores a large amount of water, and they can blast this out at extremely high pressures. The other, is that they can use their long bodies and tails to wrap around you and pull you into the water with them, and they hold you there until you drown. Thankfully, this second attack is thought to be only used for the most irritating of visitors. Earth is stable, responsible, rigid, stubborn, prosperous, and above all, patient. This can lead many to think that earth dragons and their brethren are lazy, but they aren’t. They carefully think about their possibilities and potential outcomes before they take action. If they don’t consider something worth their time or effort, then they won’t move. However, if these dragon decide that moving it something that they want to do, then nothing will stop them. Earth probably has the most variety in it’s sub-species. As well earth, you can have mountain, metal, mineral, forest or wood dragons. All come under the earth category, as they all have very similar traits and characteristics. Whilst these dragon do have a breath weapon, they are more famed for claws and bite that they use to hunt and kill prey. Originally this led to a lot of conflict with farmers and hunters, as the dragons would take whatever they wanted as food, however as soon as humans realised these were intelligent creatures, they reasoned and bargained with them. 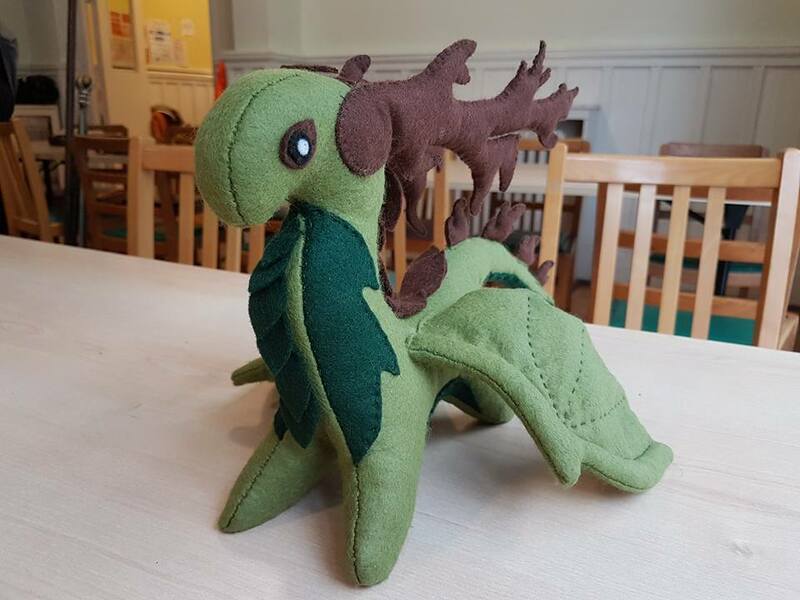 Now earth dragons can be found warily foraging around the fringes of human settlements, although never the biggest cities of a country. As is their nature, they are not easy to provoke, and will often ignore irritations. However, they have been known to cause earthquakes and mudslides and other such natural disasters, which tend to reach far beyond the original target. Actions that widely damage natural places, such a deliberate forest fires, are known to provoke them. Although it might appear at first that these dragons are opposite in nature, dragonologists now believe that they are merely mirrors or each other, like two sides of the same coin. They both have similar appearances, long body and tail, two wings, two feet, often with feathered crests, occasionally even feather wings. However the two are easy to tell apart since light dragons are white, silver, or very pale gold, and darkness dragon are black and deep midnight colours. Both dragon are very intelligent, but don’t assume that light and dark means good and evil. Darkness dragon have quite a shy streak (although many people say that it is simply hard to spot a dark dragon against a dark sky), and if you manage to have a conversation come off as quiet and reserved, but have piercing insights into reality, and often give excellent guidance. 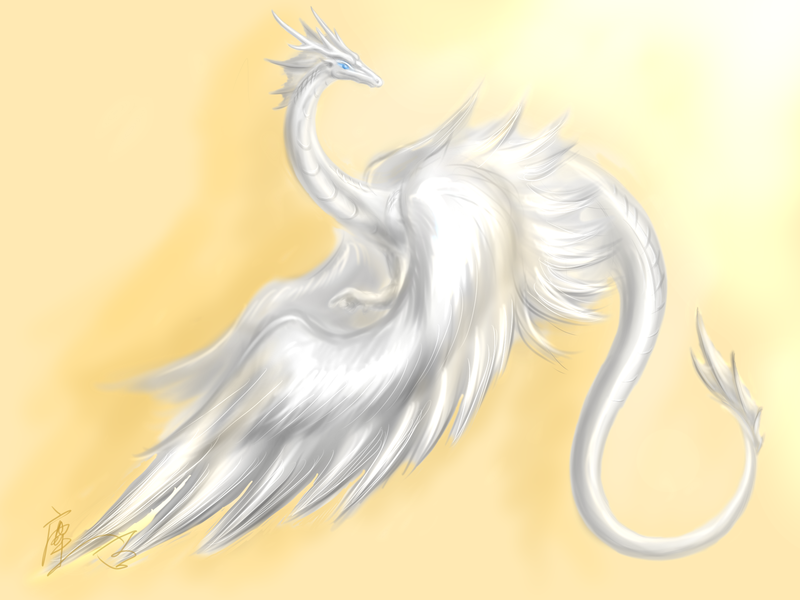 Light dragons are easier to converse with, and are very social creatures, especially good in situations which require mediation or a large amount of talking. Strangely, although records exist of conversations with these elemental dragons, there is no record of a fight ever breaking out, either between the dragons themselves, or between dragon and human. No one quite knows why this is. Stories do exist of the power of these dragon over light, or the absence or it, but observations are often unclear, as manipulating the light would interfere heavily with our perception of the event. Some people debate whether this is an element or not, much like they debate the existence of the soul. For those people that claim to have seen one, they are fervent in their descriptions. These dragons are reportedly small, without a corporeal body. As such, they either tend to have no colour, or a rainbow like translucence. Other features such as wings, legs, length and shape vary so wildly from account to account, that some people think it must be the imagination that creates these dragons. The people who have met them agree on one thing, these dragons are exceedingly wise and experiences, giving advice and hints as to achieve balance in life. Some dragonologists theorise that these dragons only appear to those greatly in need, whereas others say that they only appear to those who are already in balance with themselves. And those are just the theories that believe in their existence. Of course, this is not an exhaustive list. There are many more dragons, small cross breeds that have not been widely documented usually, that exist in the world. 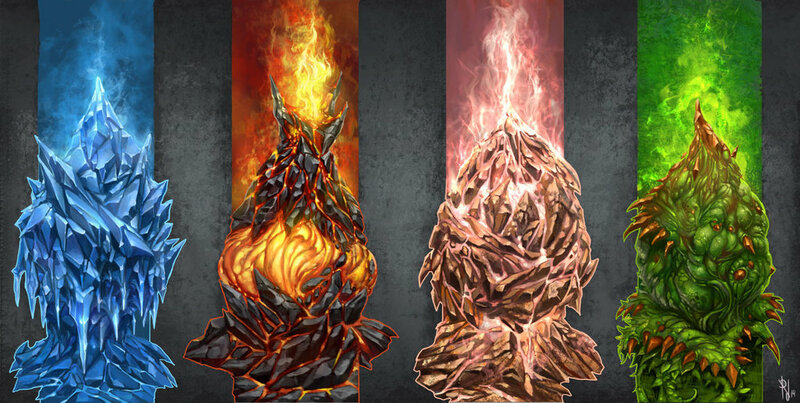 If you were an elemental dragon, what do you think you would be? This is very cool. Do you think a dragon could ever change it’s element? For instance, if a water dragon suffered a great loss, could it become an ice dragon? Oooh, interesting question. I think that something could maybe change within an element, or become a cross element – so water could become ice, or steam if it underwent some change – but I don’t think a complete change could occur. No fire into earth dragons for instance. Wow! You seem to be very interested in dragons. 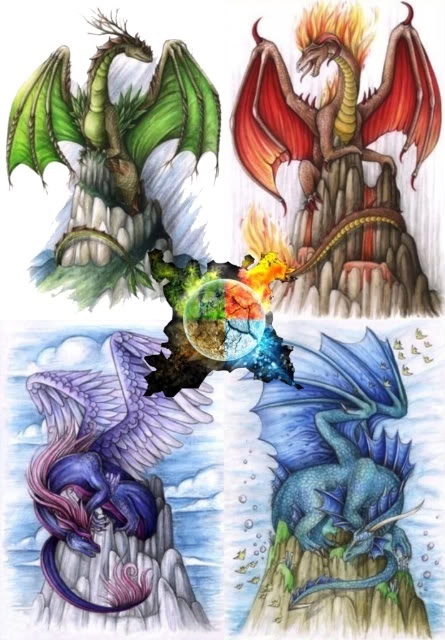 I plan to write my own novel/ fictionpress about these dragons of 4 natural elements. My ideas seem to be INCIDENTALLY similar (just almost same) to your ideas of 4 dragons, but not the same design. Are those your (dragon) designs or you took from other sources? Hi! Nice to hear from another novelist, and a dragon novelist as well! Sadly I am not that talented at art. I assume you’re talking about the last picture on this post, which I found on pinterest, but originally came from this artist on deviant art: http://elite-dragons.deviantart.com/art/Elements-Together-34302557 Hope that helps. This is so cool! I gotta question though. 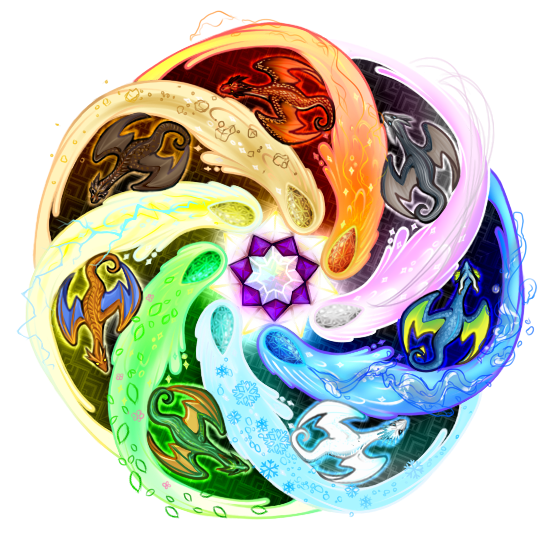 What are all the possible elemental combinations?